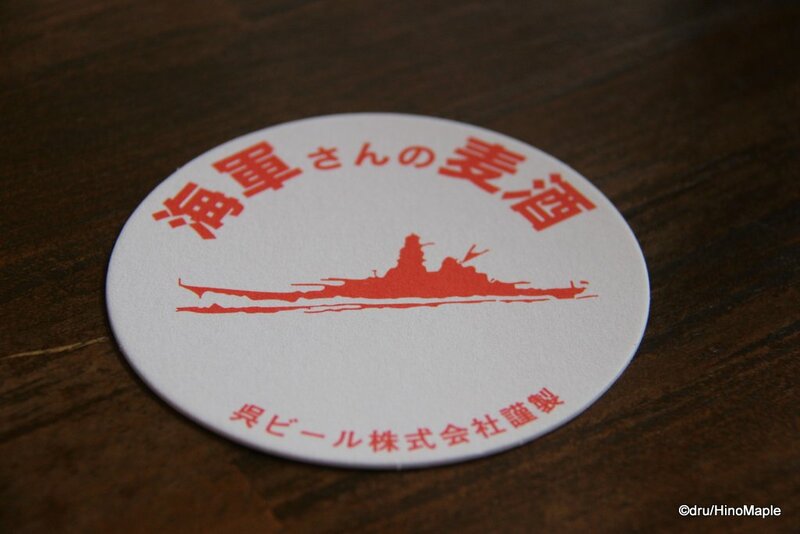 The Navy’s Beer Shop, or Kaigunsan no Beer Shop is a restaurant operated by Kure Beer. It is their own personal restaurant that they use to showcase their beer and some local food. 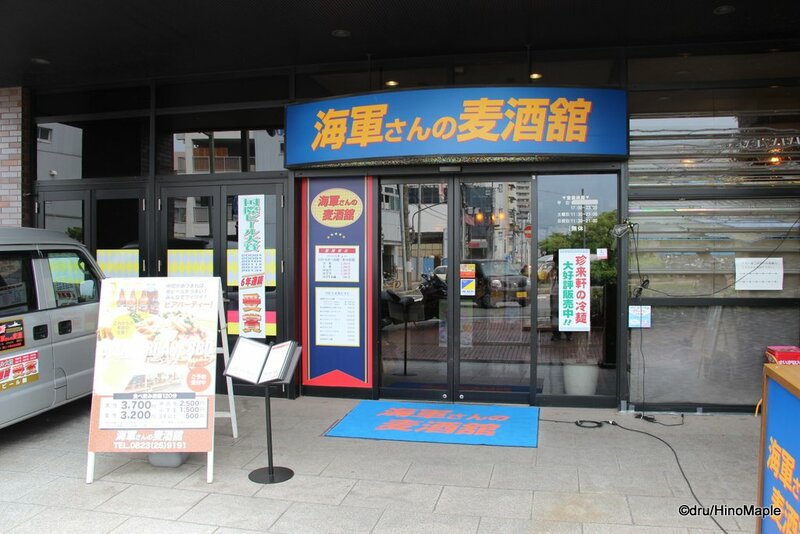 It is located just down the street from Kure Station and it is a nice place to grab a meal and a few beers as well. Knowing me, I could have stayed there all day and then some, and I almost did! Getting to Kure Beer is pretty easy. When you head out of the station gates, turn right and head out the side exit. Head down the steps on the left of the entrance and then turn right. Follow the street, cross the river, and you are right at Kure Beer. It is really easy to get there and the walk is nice. The views from the river are also good but other than that there isn’t much to see. The restaurant is actually a little hard to find at first if you don’t look at the huge signs on the side of the building. It is harder to see if you can’t read the kanji. The entrance to the shop is very tacky. There isn’t a lot of class regarding the design but when you go inside it is pretty nice. The entire area is done up in a lot of wood. They play on the ship theme but they also have a very German feel to the entire place. The decor inside is well done and they even have a nice patio outside for barbecues, although we didn’t have the opportunity to enjoy it as it appears to be a night time event only. The beer at Kure Beer is pretty good. They have a lot of variety for a shop that has only their own signature beers. They tend to have a lot of European beers, specifically German with their Pilsner, Weizen, and Alto. They also have a variety of other beers such as a Pale Ale and a Ginjo beer. The Ginjo beer is a standard beer that is fermented with sake yeast, hence the name Ginjo. I had to have it and it was a nice light beer that had a surprising taste. It is hard to explain but it is a beer that I could easily have often. I was more interested in the Shimanowa beer. 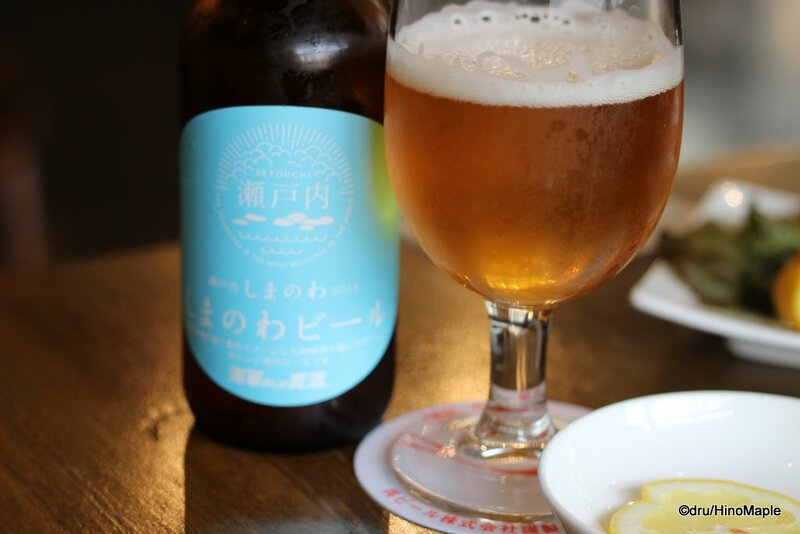 The Shimanowa beer seemed to be a seasonal beer for Kure beer. It had a nice light blue label and promoted the Seto Inland Sea. It brought back memories of the Setouchi Triennale and I couldn’t help but feel like I should have made a stop at Ogijima on my way home. The Shimanowa was a good beer and it was nicely hopped. The hops were very aromatic and it made it delicious. If Kure Beer had a regular beer, this would be it for me. The food at Kure Beer was not bad but it is a bit expensive. They focus a little more on German style food such as sausages and pretzels, but they also have a lot of other types of food. They have pizza, yakisoba, and other dishes, so they have something for everyone. The best part is that they also offer malt. You can order a small dish of malt that you can snack on. 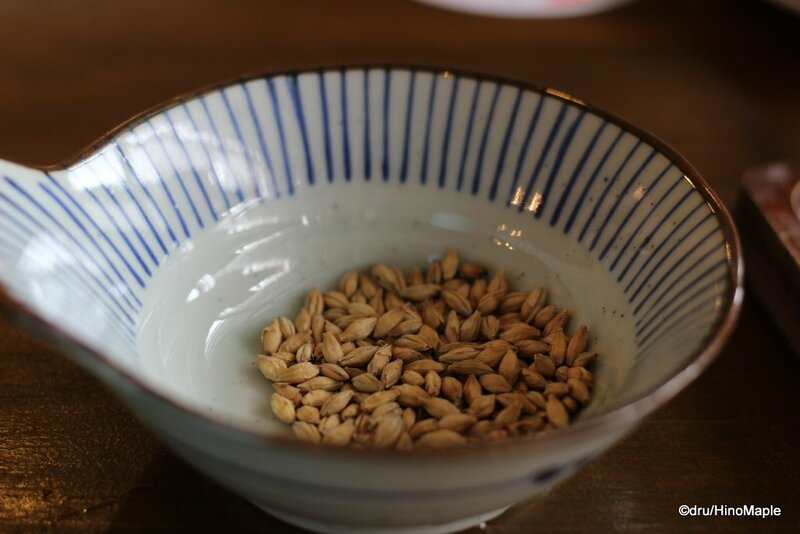 The malt grains were lightly toasted and had a wonderful taste that just matches with beer. I found it to be great and I was happy to have it with the beer. The best part, it was free! Kure Beer is a great place to enjoy a pint and some food. I can imagine it is even better at night when they have their outdoor barbecues in the summer. The beer is good and the service is also good. They didn’t seem too busy on a weekend afternoon and a lot of people didn’t seem interested in the beer. It seems to be more of a “foreign” style bar for the locals rather than a craft beer company’s shop. 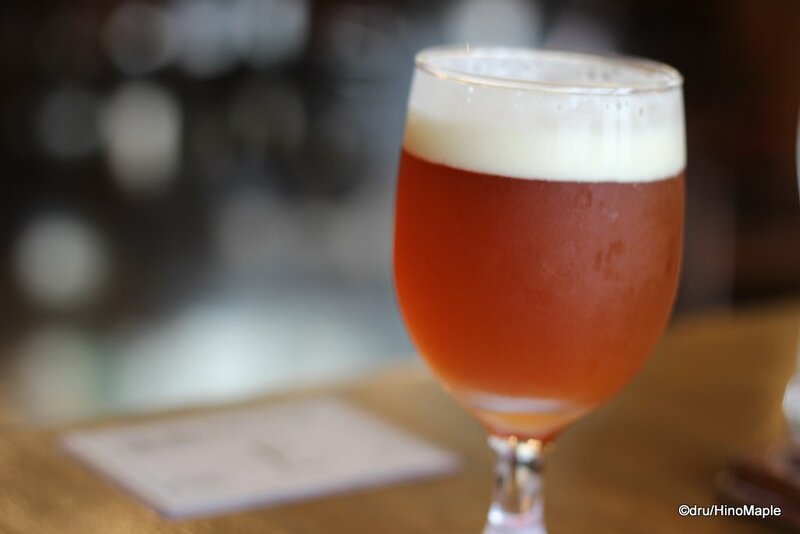 Don’t hesitate to visit Kure Beer either way as you will be sure to have a good time. 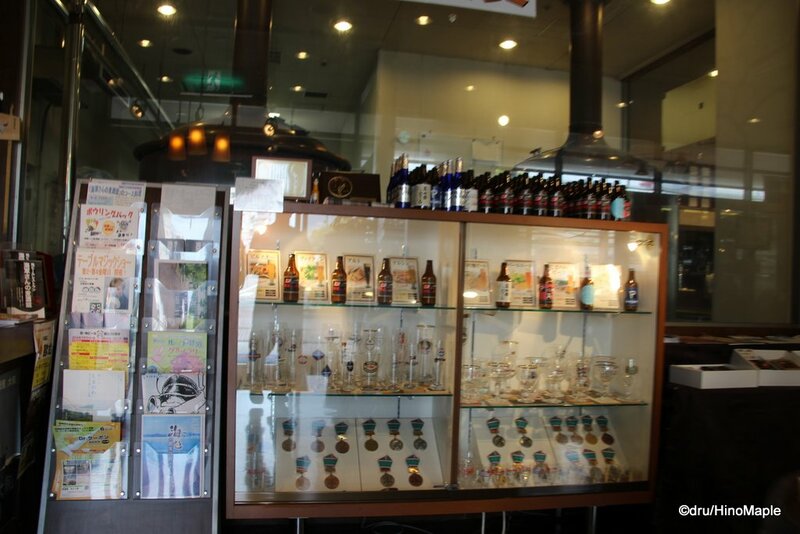 This entry was posted in Chugoku Food and tagged Hiroshima, japan, Kaigun, Kaigun no Beer, Kaigunsan, Kaigunsan no Beer, Kure, Kure Beer, Navy, Navy's Beer, Navy's Beer Shop, Shimanowa Beer by Dru. Bookmark the permalink.